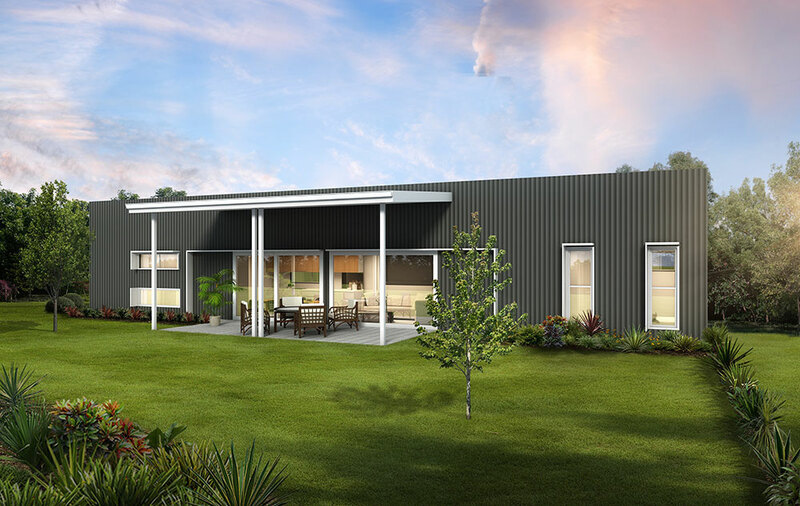 This granny flat design is ideal for spaces where there is plenty of width but not a lot of length left to add a granny flat. 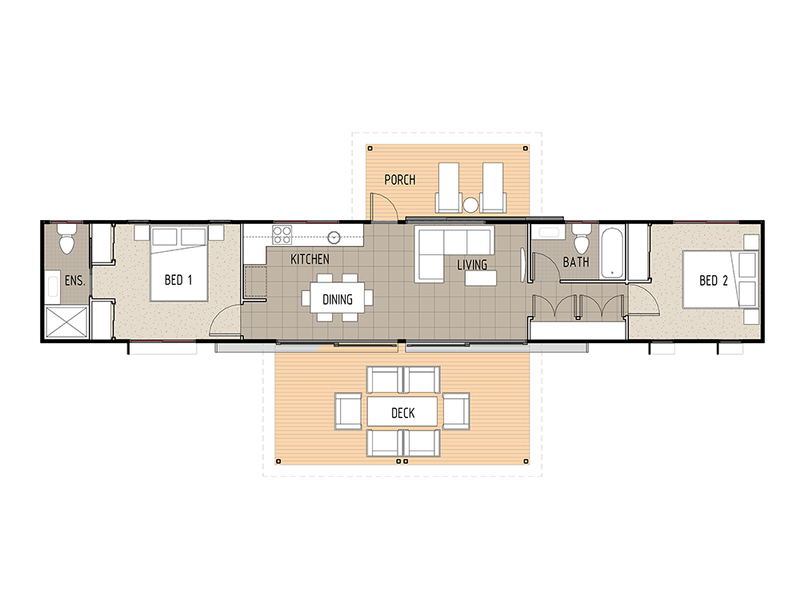 This is a two bedroom granny flat design, with a bedroom at either end of the flat. Bedroom 1 features his and hers built in wardrobes and a private ensuite while bedroom 2 has a single built in wardrobe. The main bathroom is located directly outside of bedroom two for easy access. The kitchen, dining and living area is an open plan design and has access to both a front porch area as well as a good sized rear entertainment deck.